At age 45 I’m beginning to think I might just be falling behind all the cool kids. Let’s use grocery shopping as an example. Throughout the week as we use up (or get within about a week of using up) items we write that item down on what is usually the back of a piece of junk mail. As the week progresses that starts to form into a grocery shopping list. Then before we go on our weekly grocery shop we write a weekly meal plan which may require some additions or subtractions to that list. Once in the supermarket we know which products we normally buy as we’ve already done the lowest price grocery shop but of course we also quickly scan the shelves to see if there is anything on special that week or whether any prices have changed that might alter our buying habits. This results in minimal waste and hopefully pretty close to the lowest priced weekly shop for our tastes. 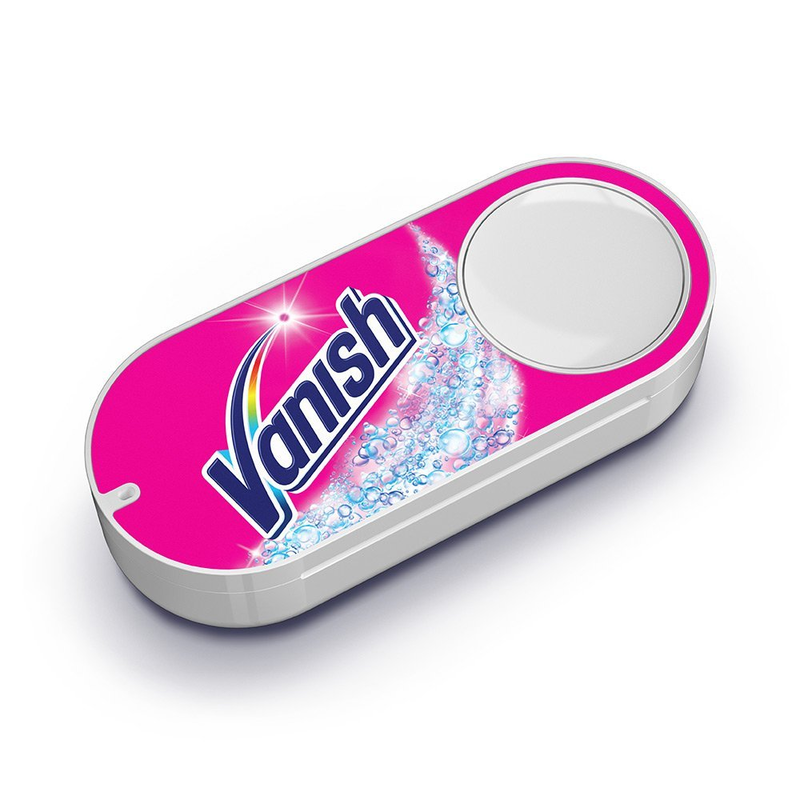 We’ve done this for many years so imagine my surprise when I discover something called a Dash Button which can do my shopping for me. I don’t have one but as I understand it for £4.99 you get a Wi-Fi connected button (with many varieties available covering Household & Office, Food & Beverages, Health & Personal Care, Beauty, etc), which via your phone you pair with a product that you select from a particular brand tied to the Dash Button. You then stick the button near to the place of use in your home. So if for example you’re buying soap you might stick it near to your bathroom soap dispenser. Then when you’re getting low or have run out just push the dash button and voila a new item magically turns up in your letter box the next day. Wow it certainly is convenient. Of course to be able to use the service you need to be an Amazon Prime member at £7.99 a month, you’re tied into branded products and worse a particular brand, you’re tied into a particular retailer, you don’t get to scan for alternatives at time of purchase and you’re still going to need to go to a market for items like fruit and vegetables. To me it looks like a pretty expensive way to go shopping but then again I might just be starting to get old! Does anybody use one or many of these things? Do I have it right or am I just getting old? You actually get the cost of the Dash button refunded as a credit the first time you use it (which I guess is indicative of the profit they make from it), that said, I don't have any and would not for the reasons stated. We do have an Amazon Prime subscription - you can pay £79/year - bit of an indulgence but we get a high percentage of our non-food shopping from Amazon and we like the convenience of next day delivery, the streaming movie and music services save buying CDs and DVDs, and the little-known Amazon Prime Reader service gives access to books and magazines on my Kindle and one new book to borrow per month. I think one generational difference is the attitude to ownership of 'content'. I grew up in the vinyl generation (I note the industry, having persuaded us to ditch vinyl and replace it with CD and then MP3 is now giving us a 'vinyl resurgence' - kerchiing!) and I prize my CD collection, while younger people regard music and movies as something to be streamed on demand (for a fee, of course) and regard the concept of 'ownership' as a little quaint. I am coming round to the idea, after all how many times do you watch the same film? "I think one generational difference is the attitude to ownership of 'content'." I'm with you on the ownership of content and maybe I am showing my weirdness now. For example I know it costs more and when I move I know they'll be a pain but I still buy paperback books rather electronic. All my music is on CD which I then convert to electronic rather than just buy electronic. I also have zero subscriptions to anything as this IMHO is just how money leaks away. On the subject of Smart. I have a smartphone for work but an old PAYG phone for personal. Other than that the only other thing smart I have is my brain. It's funny that as the technology of the world progresses I'm actually finding myself retracting more and more from technology. Zen for me is a day like today spent in a forest on bike or foot with friends or family. Right now for me that is living. Although I'm guessing many wouldn't describe that as beer. Why would you want your house cluttered with buttons. More to dust. The only sensible solution is a single scanning point by the bin/recycling box, where you scan the packaging as you dispose of it. And then need 2 of everything, and have more stuff near its use by date. A paper list seems so much easier than a ifridge that spends its time sending spam over your wifi. Good point vicarage. Since I've been on this FIRE journey I've really reduced the amount of stuff I have around me and it's liberating. Less house needed, less time cleaning, more time to do other pursuits. Dash buttons apparently can be hacked to control many other things which I suspect I responsible for some of their popularity. I do have an Amazon prime subscription - but only because I'm on student pricing for four years at around £40/year. You can easily make your money back on that through choosing no rush delivery to get £1 free credit towards a kindle book. Add in plenty of music for the missus and more TV/movies than either of us can watch and it's rare for us to spend anything on home based entertainment. We don't even have a TV licence. Although I agree with the general principle of avoiding subscriptions like this (never done Netflix or Sky), the savings on buying or renting physical media/going to the cinema (we have a projector) does make it worthwhile to us - at least for now. Knowing Amazon as I do I suspect they will slowly raise the price until the pips squeak. 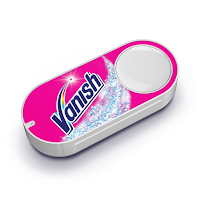 I wouldn't get a Dash button as grocery shopping is probably the only type of shopping I vaguely enjoy doing! I have an Alexa Dot speaker, which was a gift from my ex-boss and while I would have never have bought it in the first place, I'm now considering having another in the house as I do find it very useful for music, asking about the weather, etc. I don't have Amazon Prime but do buy from Amazon and don't mind waiting for my parcels! Filed under the heading useless crap I don't need and will never buy. I would have thought that having bars of soap and kitchen towel dropping through letterbox every other day is even more annoying than a weekly shop? All that unpacking, throwing away of cardboard etc. Not to mention the clutter of buttons that go wrong or need batteries. "I'm actually finding myself retracting more and more from technology. Zen for me is a day like today spent in a forest on bike or foot with friends or family. Right now for me that is living." That sounds about right. Although I do like YouTube for the endless free lectures on the big bang, dinosaurs and just about anything else. I am (almost) 71 years old. I have been involved with computer hardware and software since about 1970. NEVER NEVER NEVER trust software alone with anything that is important to you. In my last job before retirement they finally got around to specifying a failure rate for software (the hardware is, and was, always specified to be designed with a given failure rate). But, I hear you ask, what was the failure rate that was specified for that software? Well, it was in the order of x faults per thousand lines of code (where x was a figure somewhat greater than 1). But, our computers run programs with millions of lines of code and, very often, those programs weren't even specified with a required failure rate at all. So no wonder that software typically operates, at best, like some sort of drunkard. No wonder that they are constantly downloading "fixes" (that contain their own, new and interesting, ways of failing). My advice would be to always demand that there be a local manual (hardware) fall-back way of achieving the same result as you achieve more conveniently using software - until the software is overtly specified with an acceptably low failure rate. As regards Amazon et al, they are in a zero-profit, zero yield phase of development with the prime objective of killing off the incumbent competition. Once that competition is adequately diminished such that the new-comers are in a position of adequate monopoly, then you will see their true colours come shining through and the prices they charge will rise till the pips squeak. To the extent that we are colluding with the newcomers to allow them monopoly power, so we are engaged in our own delayed throat-cutting. I didn't know about these thanks for bing them to my attention. I think I stick with Aldi for now though. These seem to take the imagination out of shopping and cooking. £4.99 for a single button that gives you the privilege of... buying something you already planned to. There really is a sucker born every minute! Hi RIT - just found this - have not read it yet but thought it might be of interest. So much tech these days is aimed only to take power over you, or just to take up your time.